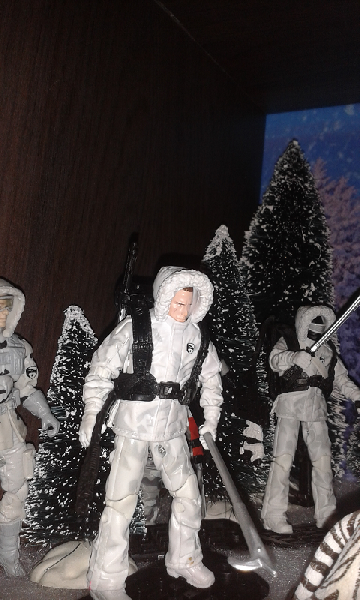 This easy custom was made out of a fodder lot, that brought me to an idea to make an Arctic Duke. Simple, but it is successful. The GI Joe team is often called in for pool missions. They also need the professional guidance of Duke to succeed in the tasks. Duke is an integral member of the G.I. JOE Team and a former special forces captain. He easily adapats to whatever Cobra or th3e environment throws at him.